The patella, also known as the kneecap, is a thick, circular-triangular bone which articulates with the femur (thigh bone) and covers and protects the anterior (front) articular surface of the knee joint. Patellar dislocation is usually caused by either a direct trauma to the knee (e.g. a helmet hitting the knee) or from a sudden twist or pivoting of the leg (e.g. a ballet dancer landing poorly). A dislocation occurs when the patella shifts out of its normal position in the patellofemoral groove (trochlea), the V-shaped notch on the front of the femur. A careful physical exam, X-rays and an MRI are used to diagnose the extent of the injuries. In cases of complete dislocation, the ligament holding the patella in place must tear or severely stretch. Unfortunately the articular cartilage bearing surface between the patella and the femur is impacted and can be also be damaged. X-rays and MRI imaging are used to see how the knee cap fits in its groove, and to assess other possible reasons for your knee pain, such as cartilage damage or torn ligaments. If the patella has been shifted completely outside of its groove, the first step will be returning it to its normal position. This process is called reduction and can sometimes happen spontaneously. If not, a doctor can push the patella back in place. For patellar dislocations resulting in a damaged ligament, we will most often reconstruct the damaged ligament (patellofemoral ligament) surgically using a donor tendon. If there is damage to the articular cartilage in the joint, we can treat it arthroscopically. Failure to address these issues may lead to a chronically unstable patella and potentially an arthritic knee. Rehabilitation following reconstruction of the patellofemoral ligament focuses on getting the patient fitter, faster, stronger with a primary emphasis on promoting proper tracking of the patella. During the first month, emphasis is on healing of the repaired ligament while maintaining range of motion as allowed by the patient's surgeon on an individual basis. 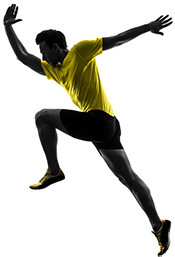 As patients progress through the program, specific lower extremity strength and stabilization activities are introduced. In the final months of the rehab program, focus transitions to sports-specific training. 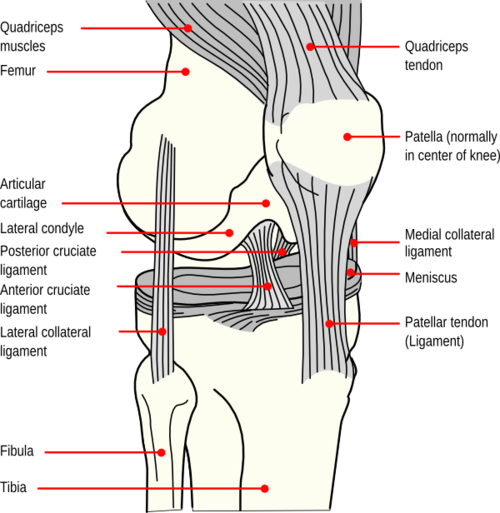 Some people are chronically loose in the knee cap, often due to bony shapes such as a flat anterior femur (trochlea) in combination with tissue laxity (stretchy tissues). In those cases, careful physical therapy and strengthening exercises focused on the muscles that guide the patella are prescribed first before any surgical procedure is undertaken.